By admin , in General on April 8, 2019 . As we age, the joints in our necks show signs of wear and tear and this can lead to changes in the neck vertebrae as the body adapts to joint damage. Around 85 percent of Americans over the age of 60 experience this condition, known as cervical spondylosis, which is another term for osteoarthritis of the neck. 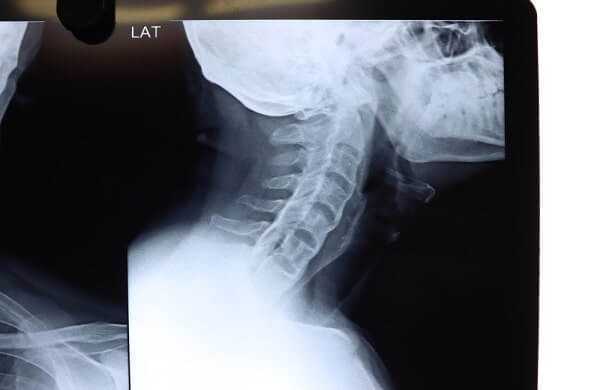 2 What causes cervical spondylosis? 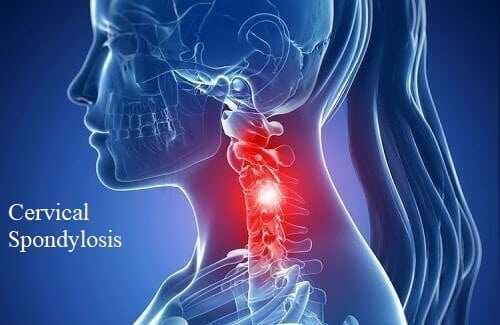 The symptoms of cervical spondylosis are variable. If you have this condition, you may find that your neck has gotten stiffer over time, though the onset of symptoms can also be quite sudden. The pain may be in the neck itself, between or over the shoulder blades. If a nerve is pinched, pain and/ or pins and needles can be felt from the shoulder down as far as the fingers. You may feel numbness in your shoulders and arms and, rarely, the legs—in which case you need to seek medical advice promptly. Sometimes symptoms are worse after standing or sitting (especially in a draft), or in the morning if you slept in an awkward position, when you sneeze, cough, or laugh, or bend your neck backward. According to the National Institutes of Health, there are several other risk factors for cervical spondylosis. These include being overweight and lack of exercise, a past neck injury—sometimes many years before—previous spinal surgery, a damaged intervertebral disk, and the effects of osteoporosis. It’s hard to avoid the stresses and strains of everyday life that contribute to the development of cervical spondylosis. But you can reduce their impact by paying attention to the advice on posture and lifestyle given in this article. It’s important to keep your neck gently moving so it does not stiffen up. Over thecounter painkillers, such as acetaminophen or nonsteroidal anti-inflammatory drugs may help and your physician may give you something more powerful on an occasional basis for flare ups. 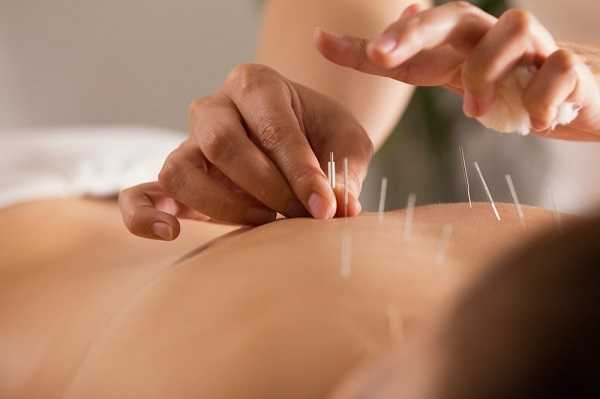 Your physician may recommend standard physical therapy and perhaps complementary therapies such as osteopathy, , chiropractic, and acupuncture, which can bring relief of symptoms to some people. Out of Alignment Sometimes a condition called spondylolisthesis can be a complication of cervical spondylosis. When it occurs in the neck, the condition is often termed subaxial subluxation. One of the vertebrae slips forward (if it slips backward the condition is called retrolisthesis) so it’s out of line with the rest of the spine. This may happen because of progressive degeneration or due to trauma such as a motor vehicle collision. If the slippage is slight, you may not experience any symptoms. But if the misaligned vertebra presses against a nerve, the pain can be severe and you may have tingling or numbness in the arms and/or legs. What’s the treatment? The treatment for spondylolisthesis is initially the same as for cervical spondylosis. But if things do not settle down, you may need surgery. Fusion of the vertebrae around the area of slippage is an option that is often recommended, especially when there are symptoms of nerve compression. In some cases the vertebrae are moved back to the normal position prior to performing the fusion, and in others the vertebrae are fused where they are after the slip.